Storyteller, musician, and educator, Sandy Schuman tells stories about songs and songwriters, personal adventures, historical sagas, folk tales, and stories in the Jewish storytelling tradition. His programs include: Familiar Songs & their Unfamiliar Stories: Some of the best-known songs and their little-known stories – songs from the Great American Songbook including the Song of the Century. New York Tales: Tall & True Some of New York State’s folklore is truly unbelievable. Some of its history is even more so. Huddie “Lead Belly” Ledbetter: Singer, Songwriter, Murderer; “King of the 12-String Guitar” My Father was a Storyteller: Songwriter, musician, poet, storyteller, electrician – the stories of a lifetime. Welcome to Chelm’s Pond: Where the preposterous tall tales of the Adirondacks meet the ridiculous stories of the fools of Chelm. Jewish Stories Every Person Should Know: Stories, old and new, that reveal Jewish humor, tradition, and values. How to Tell a Story A workshop for beginners – teenagers, educators, grandparents – who want to learn or sharpen their storytelling skills. 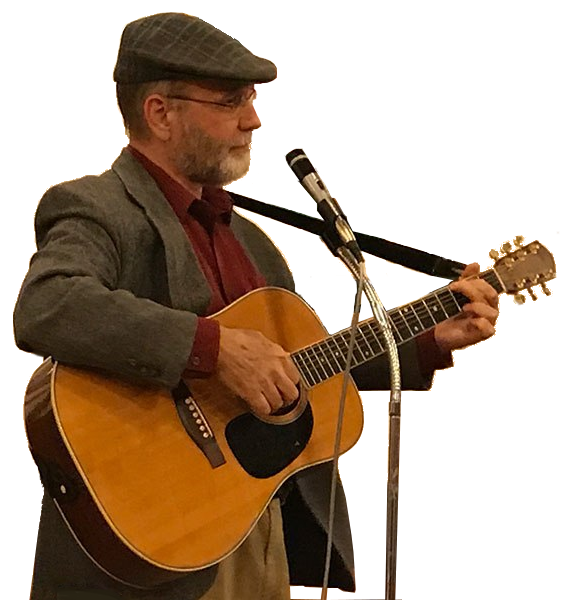 He’s been featured at The Northeast Storytelling Festival, Caffè Lena, Proctors, Tellabration, Limmud Boston, and many conference, senior community, interfaith, radio, and television programs. He won the St. Louis Jewish Storytelling Contest in 2015. His stories have been published in Tablet, Memoir Magazine, Distressing Damsels, Stories We Tell, Story Club Magazine, Storytelling Magazine, New Mitzvah Stories, and in his book, Welcome to Chelm’s Pond (where the ridiculous stories of Chelm meet the preposterous tall tales of the Adirondacks). Sandy is a member of the Story Circle of the Capital District, Northeast Storytelling, National Storytelling Network, Jewish Storytelling Coalition, and Lifetime Arts Creative Aging Roster. Read More.. Storyteller, musician, and educator, Sandy Schuman tells stories about songs and songwriters, personal adventures, historical sagas, folk tales, and stories in the Jewish storytelling tradition. .